Desk report: Vaping can damage vital immune system cells and may be more harmful than previously thought, a study suggests. Researchers found that e-cigarette vapour disabled important immune cells in the lung and boosted inflammation, the BBC reported. 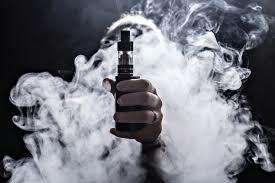 A small experimental study, led by Professor David Thickett, at the University of Birmingham, showed that in only over 48 hours the vapour from e-cigarette caused inflammation and impaired activity of alveolar macrophages – cells that remove potentially damaging dust particles, bacteria and allergens.For the study, the researchers devised a mechanical procedure to mimic vaping in the laboratory, using lung tissue samples provided by eight non-smokers.